When installing a tile floor, a trade professional’s worst fear is finding out that the tile has cracked after the project is finished. Every trade pro wants to leave a job with the confidence that it was done right and that the homeowner will be satisfied with their work for years to come. After all, nothing beats a great referral nowadays. In order to gain the confidence that the project will stand the test of time, there’s one specific underlayment that installers should always utilize (especially when radiant heating is involved): a Prodeso™ Cable Installation Membrane. This underlayment membrane gives installers three benefits in one platform: It provides crack isolation and uncoupling benefits; with accessories, it protects the subfloor from water damage; and it holds heating cable in place for easy and fast installation. There are several reasons for why tile flooring can crack. 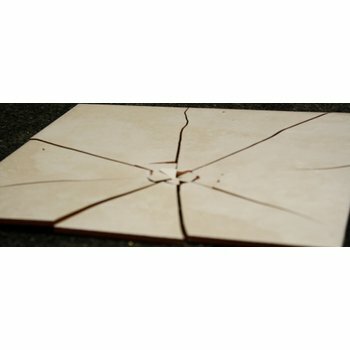 One is when a new crack forms or an existing crack expands in the subfloor, which causes the tile to break because the crack’s energy has been directly telegraphed from the subfloor to the flooring. Prodeso provides crack isolation benefits by functioning as a medium that absorbs and disperses the crack’s energy before it gets to the tile. Another cause of cracked tile is foundational movement. If tile is directly fixed to the subfloor and the foundation shifts, expands, contracts or otherwise moves suddenly, it will often cause the tile to break. Prodeso provides an uncoupling benefit by providing a degree of flex between the subfloor and the tile, while still delivering a secure connection. Both of these features will result in a great reduction in cracked tile and, thus, customer satisfaction! Additionally, with a couple of accessories, the membrane becomes waterproof. ProBand, a special tape with a non-woven fleece sheet on both sides, ensures adhesion and waterproofing for perimeter joints and between adjoining sheets of the membrane. Preformed corners, both inside and outside, help speed up this process. This is ideal for areas of the home such as bathrooms, kitchens and saunas. Whether you’re working with in-floor heating or not, water infiltration is never something a home should endure. When radiant heating cable is involved, this is where the Prodeso Membrane really shines. The membrane offers multiple benefits for general tile installation, but it also features a geometric relief system for easily and quickly installing heating cable. By pressing the cable between the square-shaped reliefs in a serpentine pattern, the installer can ensure that the cable is properly spaced and secured. This is vital because if the heating cable moves while the thinset is being applied on top, it could move too close together or too far apart, affecting the heating quality. The Prodeso Membrane is a simple way to keep the cable within all of the installation guidelines. Plus, the membrane saves significantly on installation time. Once the membrane is applied over the wet adhesive, you can get right to work. Unlike other tile installations with floor heating, you don’t have to wait for the thinset holding the heating element to dry before installing the tile. The membrane allows you to work from a clean surface as you back your way out of the room while using unmodified thinset to set the tiles. This can translate to a huge reduction in the time it takes to install radiant floor heating with tile and, most often, you'll be able to complete the installation in a single day! Whether you’re working with a cracked or uneven subfloor, installing radiant heating cable, or just want to be worry-free about any tile cracking, the Prodeso™ Membrane is your solution. 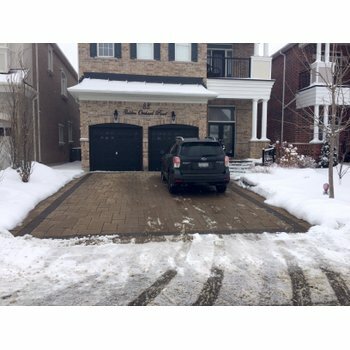 To get a quote for your customers’ projects, visit www.warmlyyours.com.